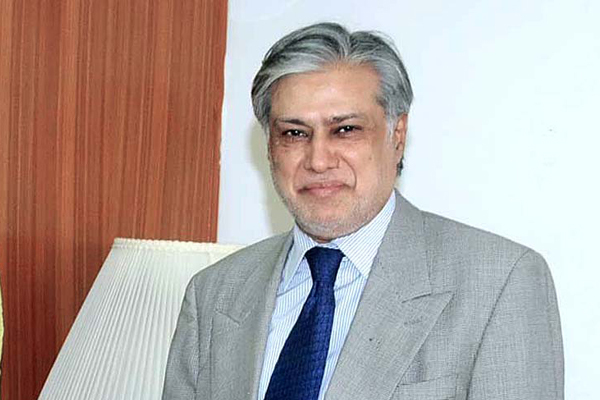 ISLAMABAD, Nov 1 (APP): Finance Minister, Senator Muhammad Ishaq Dar Tuesday congratulated Prime Minister and the nation on improvement of country credit rating by Standard and Poor. The Standard & Poor’s has improved Pakistan’s long-term credit rating from B negative to B with stable outlook. This comes as a result of the government’s improved policy-making, strong performance of the economy and the good prospects for the country’s fiscal and external positions, said a press statement issued by the Finance Ministry here. Standard & Poor’s has highlighted that Pakistan continues to benefit from improving governance under the present government of the Prime Minister Muhammad Nawaz Sharif. The government’s reform program has helped to restore macro-economic stability, reduce fiscal and external vulnerabilities, and promote growth-supporting reforms that have the potential to improve living standards. Standard & Poor’s while issuing Pakistan’s revised rating has also revised upward its forecasts of average annual GDP growth to 5% over 2016-2019 from the earlier estimate of 4.7%. It also revised Pakistan’s debt to fall below 60% of GDP by 2018. The upward revision in rating, the Agency contends, also reflects the government’s continued focus on closing infrastructure shortfalls, reforms in the energy sector, gradual gains in fiscal consolidation and beefed up foreign exchange reserves.